The legal dispute over the ownership of a Tyrannosaur skeleton that had been auctioned in May of this year for the sum of $1.052,500 USD has taken another twist with the Florida fossil dealer who had originally put the specimen up for sale making it clear that he wants the skeleton back. Heritage Auctions, based in New York, had conducted the sale of an eight metre long, mounted specimen of the Asian Tyrannosaur Tarbosaurus bataar. The sale did go ahead despite an petition from palaeontologists and the attempted intervention of the Mongolian Government. The Mongolian President Elbegdorj Tsakhia himself intervened claiming that the fossil material was the property of his country. Most Tarbosaurus fossil material has been excavated from the Nemegt Formation of Upper Cretaceous strata of Mongolia. It has been illegal to take such fossil material out of the country for at least fifty years. The Mongolian Government attempted to stop the auction, claiming that the material had been obtained illegally, probably as a result of smuggling. The fossils were seized and are now in the custody of United States customs officials. 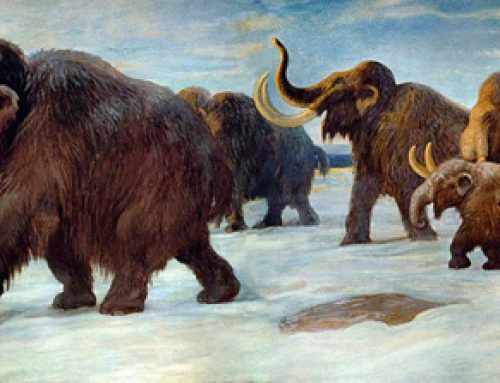 A team of North American palaeontologists assisted by Mongolian scientists examined the fossils and they declared that in all likelihood the fossil bones had come from Mongolia. The fossil is now the subject of a federal lawsuit which has been filed in order to resolve the ownership issue and to have the specimen returned to Mongolia, where it can join other Tarbosaurus specimens and become part of a study of this particular Tyrannosaur genus. The documentation filed to enable the material to enter the United States has also been questioned. A reason for the official seizure of the specimen by the U. S. authorities through the process of submitting a lawsuit was that the import documents did not attest to the true value of what was being brought into the United States. The U. S. authorities have claimed that the relics had been brought into the country with documents that disguised the potentially valuable dinosaur skeleton and misrepresented what was actually being imported. Had no counter claim been filed, then the U. S. authorities would have taken legal possession of the fossils, but now it looks like this dispute is heading for court. Tarbosaurus is going to have to go on trial. Anyone else with a legal interest in the dinosaur has until August 26th to file a claim. When the original customs documents are examined it can be seen that the fossils were shipped to America from a Dorset based, professional fossil collector and dealer. Sources state that in the contract with Heritage Auctions, this English fossil dealer would have split the proceeds of the auction with Mr Prokopi. The Dorset fossil dealer has not been named in the federal lawsuit and the Englishman’s lawyer in a statement, took steps to distance his client from the proceedings.